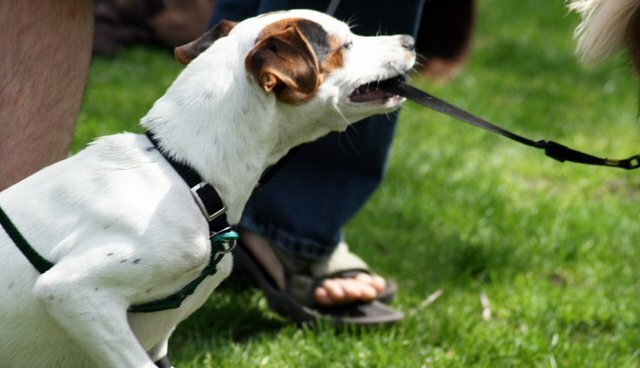 Should Your Dog Always Be Kept On A Leash? My daily routine always includes a 30-minute walk with Ernesto, my labrador retriever. I love walking my dog not just because of the various physical and mental health benefits this daily exercise gives to both of us, but because this activity offers so many opportunities to teach him new things and grow together. I've already taught him to sit before crossing the road and lie down while I sit on a bench and read the paper. I find that the more time I spend with my dog outside, the stronger our bond becomes. Social benefit is a bonus. Walking with my dog allows me to get to know the neighborhood better, and the people around where I live. Of course my dog gets to meet other canine friends, too. Walking your dog is a great way to engage his mind and, more importantly, to teach him how to properly behave and interact with people and other dogs. As pet owners, we are responsible for how our furry babies behave, which is why it is very important that we take the time to research on the proper ways to train our dogs while we are outside and how to motivate them to follow us so we are always in control. It is imperative that we supervise our dogs at all times and ensure that they are kept within calling distance. It is in our best interest to provide them with obedience training and socialization skills which are necessary for them to become well-mannered and socially well-adjusted. Unfortunately, while I enjoy being out with my lab on most days, there are a few occasions when I get frustrated by the actions of other dog owners who allow their dogs to run up to people and other dogs indiscriminately, sometimes even being aggressive. I always put my dog on lead, as this makes it easier for me to control him and it gives other people a sense of security. Unfortunately, not every dog owner shares my principle, so I cannot impose that we all put our dogs on a leash whenever we take them out for a walk. But for me, it is just common courtesy for dog owners who prefer to walk their dog without a leash to call on their dog when they do get too close to other people or dogs - for everyone's safety and peace of mind. We need to acknowledge the fact that, no matter how well trained our dog is, there will always be that possibility for a situation to happen which you have not trained him for, and sometimes the consequences could be quite devastating. So, before you decide to unleash your dog, remember the importance of leashes and how they give you greater control when meeting up with other dogs. You might be saying, "Don't worry, my dog is very friendly." Yes, that may be true. But what about the other dogs you meet? When in doubt, use a leash. It is always best to be safe than sorry. If and when you do decide to unleash your dog, please do everyone a favor and keep both eyes on your dog at all times. Make sure that you are able to call him away from anything that he might be tempted to eat or play with. Also, always keep a leash handy so that during certain times when your unleashed dog is making other people or dogs uncomfortable, you can readily put him on a leash and take him out of the situation. What was supposed to be a fun walk in the park turned out to be a nightmare for two pet owners. Greg Veneziani had to undergo specialist treatment at Queen Victoria Hospital for injuries to his hands and arms after being bitten by his husky and another dog during a canine scuffle on Southgate Playing Fields on Sep. 28. During the brawl, Greg's dog, Apache, was grabbed by the scruff of the neck by Dot Com, a Staffordshire bull terrier owned by Rose Lawson. Greg, while trying to protect Apache, was bitten on his arm by his own dog as it panicked. He claims to have also been bitten on the finger by Dot Com. Since the incident, the two humans have been arguing as to who was responsible for the accident, the two having very different versions of the event. The dispute was taken to ITV's Judge Rinder, a court show where real small claims cases are arbitrated over in a studio courtroom by Criminal Barrister Robert Rinder. Judge Rinder sided with Greg and granted him £1,950 (approx. $2,955) compensation, which was paid by the show's producers, for income lost during the three weeks that he was unable to work due to his injuries. Georgia Briscoe - head of the legal team at Patient Claim Line and sponsors of the show - states that a TV show can decide for small claims but when facing life threatening circumstances like dog attacks, it's better to seek proper legal advice. I doubt that anyone would want to cause any physical harm on another person or dog whenever we take our pets out for a leisurely walk. But when something such as this unfortunate incident happens, we can be held liable for our pet's actions. Given the possibility that you could be in a very similar situation, where your dog could cause someone or another dog serious physical harm and you could be made liable for such accident, or even worse, you or your dog could be the ones injured, would you still be thinking twice about walking your dog on a leash?